Be a part of the groundbreaking research currently being conducted at Sheppard Pratt. This study is seeking volunteers for a clinical trial that may reduce symptoms of schizophrenia. Participants take add-on sulforaphane or placebo for eighteen weeks and are compensated for their time. Sulforaphane is a molecule found naturally in broccoli and other cruciferous plants; it has anti-inflammatory properties and has been shown to have health benefits. We are conducting this trial to determine if it may be helpful for persons with schizophrenia who have ongoing symptoms. To participate, email Cassie Stallings, R.N.C., or call 410-938-4356. 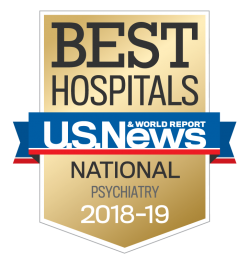 This study is seeking volunteers for a clinical trial that may help prevent readmission for an exacerbation of psychiatric symptoms. Participants take add-on probiotics or placebo for 24 weeks and are compensated for their time. Probiotic supplements contain tiny healthy organisms similar to those found in breast milk, yogurt, and some other foods. They are thought to provide health benefits by improving digestion and modulating the immune response. This study is an Open-Label study of Transcranial Magnetic Stimulation (TMS) in patients with Bipolar Disorder who are currently depressed. We are currently seeking participants ages 18 and older to enroll in this outpatient study. To participate in this study, email Brittany Troen or call 410-938-3139. This study will assess the safety, efficacy and tolerability of brexpiprazole as adjunctive therapy to protocol-specific open-label antidepressant therapy. We are currently seeking participants ages 18 to 65 to enroll in this outpatient study. Sponsor: Sheppard Pratt Health System/Otsuka Pharmaceutical Development & Commercialization, Inc.